Here's a federal work study opportunity through Rio Salado College that will give you a chance to help others! 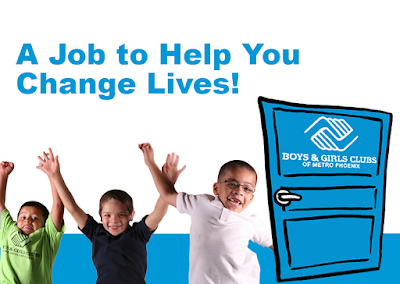 The America Reads Tutor will work with the Boys & Girls Club of Metro Phoenix Branch (BGCMP) to help members develop reading skills. Assists in the development of reading skills among members, ages 6‐12 years old, as directed by BGCMP Program Manager, including but not limited to tutoring small groups and providing one‐on‐one or small group assistance with homework. Special Note: Must comply with any Boys & Girls Club Health and Safety requirements, including but not limited to fingerprinting, a background check and a health screening if necessary. Monday – Thursday, after school 3:30 - 5 p.m. Please visit this web page for a look at all duties, qualifications and details on how to apply.